Middlebury’s annual Fall Family Weekend is a very special time to be on campus. Why, you might ask? A number of reasons, but primarily the excuse to enjoy a weekend with your family, or meeting parents of your friends. In short, every year, about four weeks into the semester, the college invites current students’ families to campus for a weekend of activities. The setting on campus over FFW is festive, each Commons hosts some sort of event, whether it’s pumpkin carving or hot cider and donuts. Parents sit in on classes, ask questions, and get a glimpse into the day-to-day lives of their kids. This year Fall Family Weekend (FFW) was remarkably special because it was the first year, of my four, that both my parents were able to make the trip from Montana. That said, I feel lucky that my parents could visit, not everyone’s families can. Being able to show my parents around the place I have lived for the past four years was special. Some of the added bonuses of having them come were getting to go out to eat (and not pay!) and getting some gas money. That said, my favorite part of FFW every year is the Snow Bowl Bash. Middlebury is lucky enough to be one of two (or three) colleges in the country that own their own ski hill. 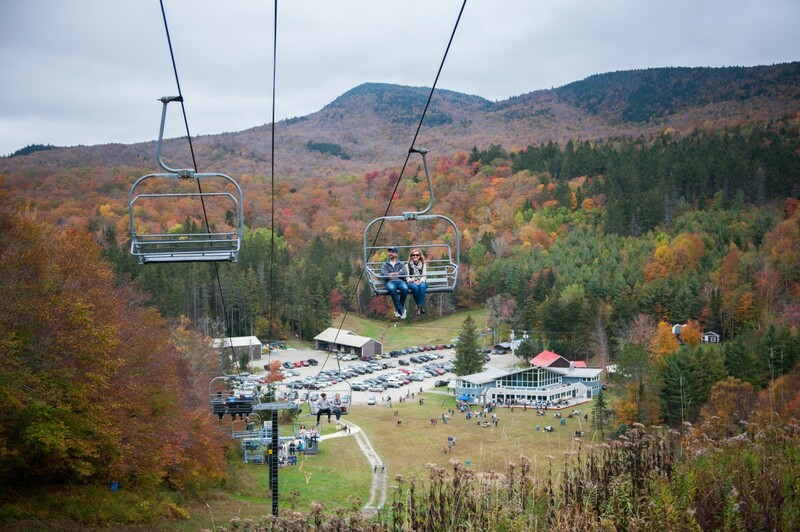 The Snow Bowl Bash consists of a festival with live music, barbeque, and chairlift rides. All of the proceeds to the Middlebury College Snow Bowl Ski Patrol, to help the patrol be properly equipped for the upcoming ski season. 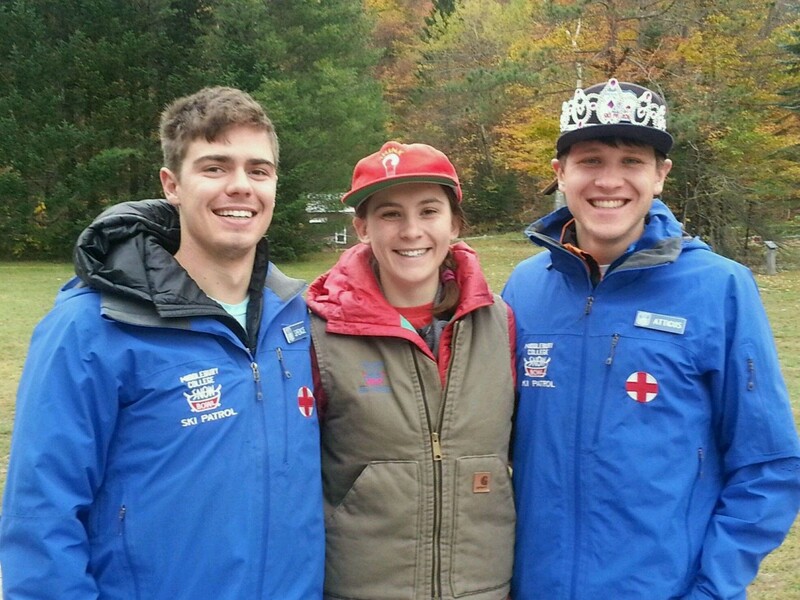 Ski patrolling has been an essential part of my experience at Middlebury and helped form my identity on campus. Aside from being able to ski 40+ days every winter, patrolling allows me to deal with real medical situations. I love the responsibility associated with volunteering at the Snow Bowl. The best part of the Bowl Bash, though, is the atmosphere surrounding the event. Families, friends, students, and people from the Middlebury community all converge on the small ski hill for a festive Saturday. Alongside the festive vibe, the fall foliage provides a spectacular backdrop for “instagrammable” moments. Case in point: the photos attached to this blog. This entry was posted in Uncategorized on November 12, 2017 by Atticus Proctor.